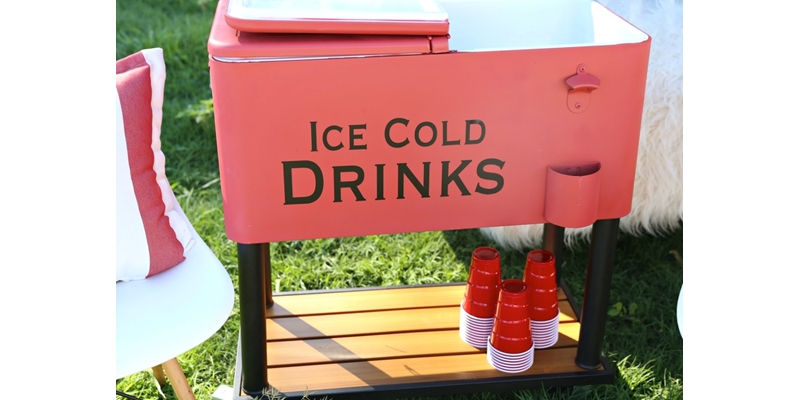 Transform a dull water cooler into something fun with Krylon® Chalky Finish. Cover a large flat surface either outdoors or in a well ventilated area. Thoroughly clean all dust and debris off of water cooler to ensure smooth, even coverage. Using the painter’s tape, tape off any areas that should not be painted. After reading can label for proper application and safety instructions, spray a light, even coat of Krylon® Chalky Finish in Scarlet. Allow time to dry. Apply a second coat of Krylon® Chalky Finish in Scarlet. Allow time to dry. Once paint is completely dry, apply a vinyl decal (optional).